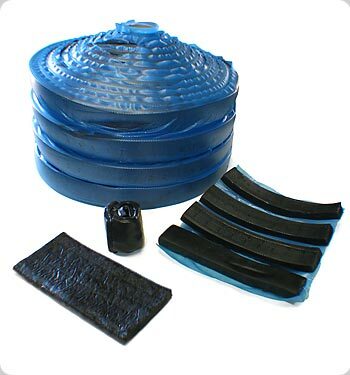 If you desire, we will help you choose the elastomer that is best suited for your custom molded rubber product, giving you the pros and cons of each and helping you decide the most cost-effective means to produce your item. The physical properties of metal and rubber are uniquely different. This difference, however, enhances the properties of each—rubber being soft and pliable, metal being hard and unyielding. When combined, you receive the best of both worlds. 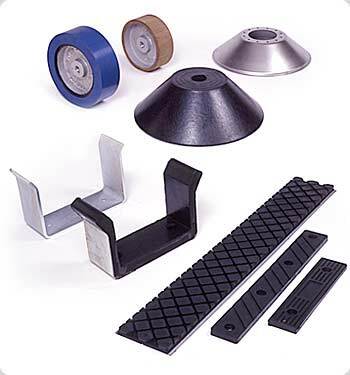 Rubber bonded to metal parts is ideal for vibration isolators, shock mounts, drive wheels, dampening products, etc. Count on us to recommend the best elastomer and metal for the problem your part is designed to solve. Call Chris Webb at ​800-875-5805 or request an estimate on your next project.